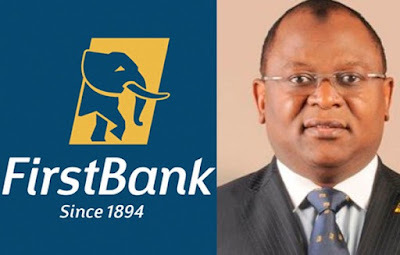 Controversy is trailing the recent mass sack of workers by First Bank of Nigeria, FBN, as the bank and its affiliate contracting firm in charge of recruitment, Whyte Cleon Limited, have given various reasons to justify the action.The affected workers, reported to be more than 1,000, cutting across branches of the bank throughout the country have dismissed the reasons given, while criticising the process as defying due process and acceptable labour practice globally. Initially, the First Bank spokesperson, Babatunde Lasaki, who confirmed the sack to The Next Edition, said the exercise was based on the outcome of an annual staff appraisal which sets a baseline to assess staff performance. He said in line with the usual practice, those who met some key performance indicators and a scorecard spelt out at the beginning of the year about the job description relating to their offices were either retained or promoted for increment, while poor performers risked being sacked. However, following the debate that has trailed the sack, First Bank management appears to have distanced itself from it, as it later said the sacked workers were not part of its workforce. When contacted Mr. Lasaki on Tuesday through a mail for further clarification about the sack, his automatic email responder machine directed the reporter to his colleague, who said those affected were not ”regular staff” of First Bank, but casual workers who were hired to provide support services to the bank. The official who requested not to be named, as she was not authorised to speak on the issue, did not give further details. She, however, re-directed the reporter to an official of Whyte Cleon Limited, the bank’s human resource recruitment affiliate, which carried out the sack of the workers. Recent media reports said those sacked were mostly front desk tellers, account and clearing support staff, customer service officers and marketing associates who had put in between five and 10 years in the service of the bank. We could not immediately verify these reports. But, the workers, who insist they considered themselves bona fide staff of First Bank, by virtue of the official staff identity cards they carry and the conditions of service issued to them when they resumed work, insist the manner of their disengagement did not follow due process. Apart from denying that the termination of their appointments was based on the outcome of a performance appraisal exercise, the workers said information about their sack was not communicated to them formally, but through short message service, SMS sent to their telephones on August 7, 2017, an act they alleged did not meet international labour practice standards. The bank insists that apart from the text messages, all the affected workers were later issued formal letters of termination of appointment. Besides, the workers said, contrary to what the bank would want the public to believe about the reason for their sack, the real reason they were sacked was that First Bank wanted to avoid being encumbered up with the provision of a labour law requiring employers to compulsorily convert their casual workers to permanent staff, with full benefits after their 10th year in active service. Some of those affected who reached out to us give further clarification on the circumstances of their unexpected exit from First Bank said the majority of those given the boot were non-core staff recruited between 2008 and 2015, most of whom have put in more than nine years in the service of the bank. “It is a blunt lie. There was no scorecard or indicator to measure the performance of non-core staff. We worked to support the core staff. They are only using that as a gimmick to deceive the public. “They are trying to wipe out the entire staff recruited as far back as 2008, who have spent between eight and nine years in the bank. They do not want them to attain 10 years of service so that the bank would not be forced to convert them from non-core staff to core staff, in line with established labour laws,” one of the workers who gave his name as Jimoh Durojaye, said on Wednesday. Another, Chukwuka Odinaka, said they did not fail any appraisal test, as claimed by the bank, as they were not even given any such opportunity to defend themselves. He alleged that all positions vacated by the sacked worked have since been filled with fresh graduates recruited by the bank. “We were employed by Insourcing Limited, formerly a subsidiary of the First Bank Group. We were later handed over to Whyte Cleon. It is not true that our disengagement followed due process, as Business Managers and Heads of Branch Services who oversee the branch operations were not aware of the development. They only came to work on Monday morning and saw they had been given new staff,” Mr. Odinaka said. Also, Alani Moshood, who said the bulk of the workers laid off were recruited between 2008 and 2009, also said the affected workers are considering approaching the National Industrial Court to seek justice, adding that they were yet to be paid any severance package since their exit on August 11, 2017 in line with statutory exit labour procedures. Meanwhile, Whyte Cleon Limited in response to enquiries on Wednesday dismissed the allegations that the workers were sacked through text messages as false and an attempt to discredit it. “Reports in the media alleging Whyte Cleon Limited ordered the mass dismissal of some members of staff in the employ of First Bank Plc through only short message service (SMS) is false. The claims that Whyte Cleon Limited has been silently laying off its staff through only SMS is a deliberate attempt to discredit Whyte Cleon Limited,” the company said in a statement, sent by its representative, Seun Togan. “We wish to reiterate categorically that the decision to withdraw the services of our employees was communicated to them both verbally and formally in compliance with the conditions of service of engagements. In global human resource outsourcing practice, employees can be withdrawn from an organization, deployed to other organisations and/or may be replaced with other employees as the case may be. “Whyte Cleon Limited followed due process in honouring the terms of appointment of their outsourced employees and subsequently withdrawing them. Whyte Cleon Limited had exit interviews with all the affected outsourced employees before notification of their recall. It is noteworthy that the affected employees were paid their entitlements and ancillary benefits,” Mr. Togan said. He did not respond to another email seeking further explanation on the number of workers affected by the sack and their relationship or status with First Bank. We learnt that Whyte Cleon inherited the workers from Insourcing Limited in February 2016 following a Central Bank of Nigeria, CBN directive to all financial institutions in the country in December 2015 to discontinue involvement in non-financial transactions. One of the things I fear most is sacking unexpectedly..
Sacking in 1st bank normally occur at anytime..